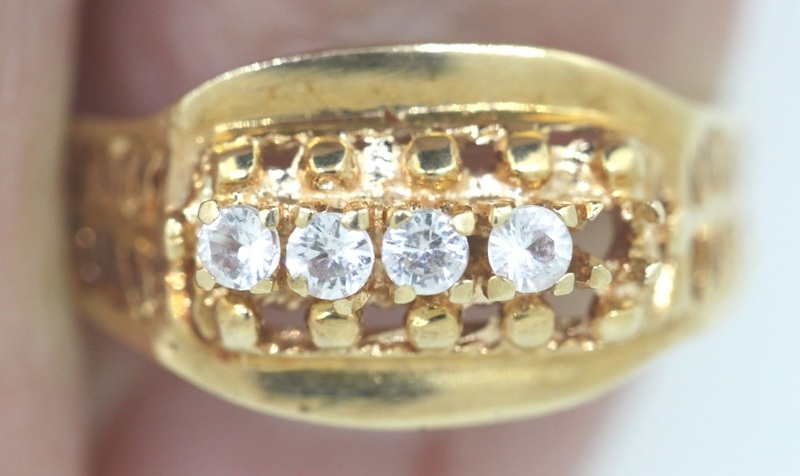 There are many jewelry retailers in Hawaii that have recently begun selling custom made jewelry to their customers in addition to their inventory of already made diamond rings. If you visit these companies or indeed any seller of jewelry then be aware that your ring could have the following problems. This is especially true for pieces sold by jewelry and diamond “wholesalers” whose business is often to sell poor quality products for a cheap price and also by local retailers who are venturing into making and selling custom made jewelry. -Porosity: Porosity can appear as little holes in your ring. 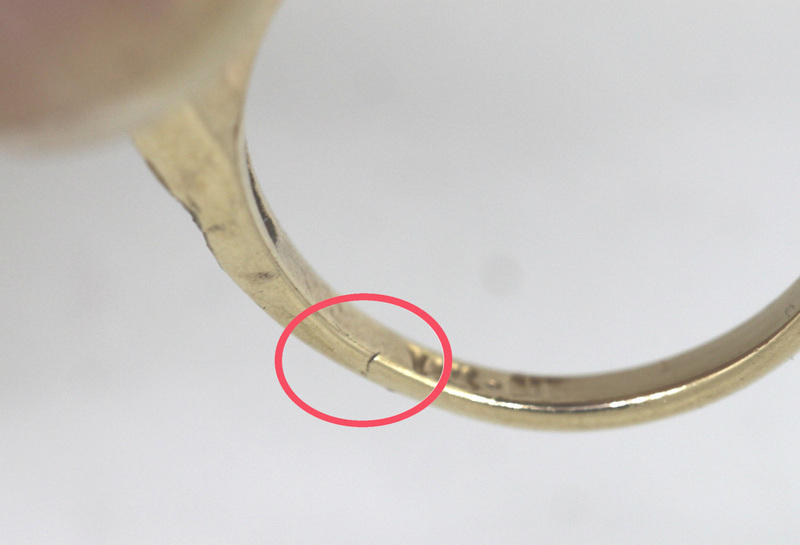 Sometimes the tiny holes are small openings to large tunnels within the ring. 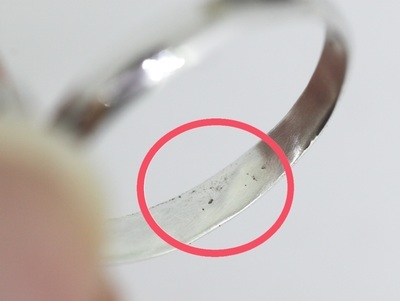 Rings with large tunnels have been known to collapse under stress or when heated with a torch. -Incomplete casting. We have seen incomplete and poor casting of the metal “seats” under the diamond melee. Some rings were so poorly cast that they crumbled or collapsed when it was repaired. -Inconsistent and poor quality diamond melee. We have seen mixtures of clarity, color and cut proportions in the same ring. 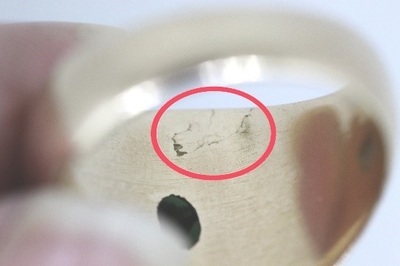 We have also seen mixture of cuts (full cuts and single cuts in the same ring). 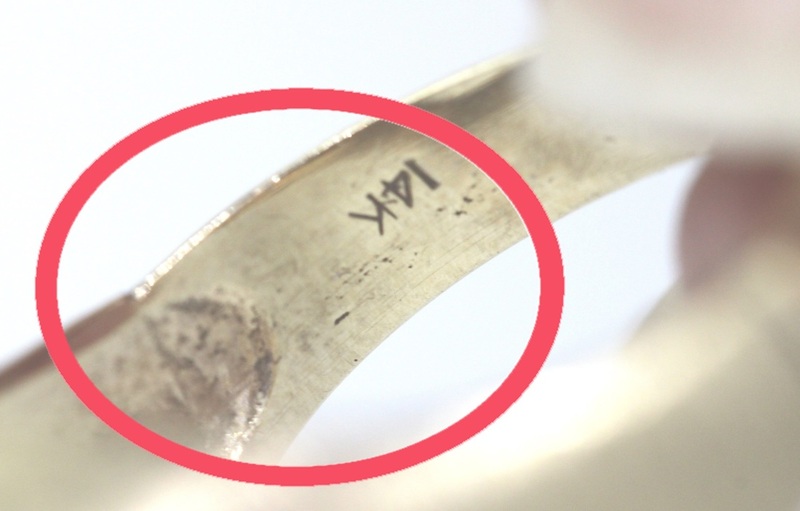 These mixtures have resulted in rings that look uneven, dark on one side and light on the other and has overall dullness to the appearance. -Poorly cut melee. You want diamond melee that are properly proportioned. 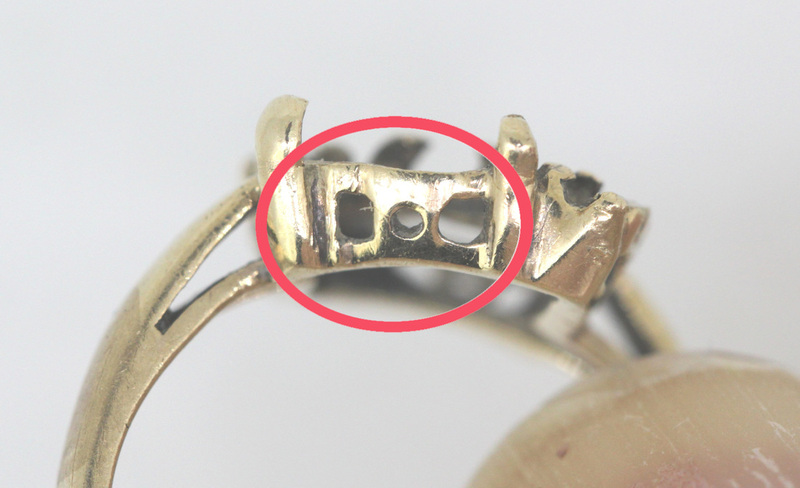 Poorly cut stones do not sparkle and the ring will look dead or flat with no life. Properly proportioned diamond melee will sparkle and shine! -Melee set at different angles and at different heights. This will take away from the total shimmer, sparkle and appearance of the ring. -Unpolished and unfinished prongs. 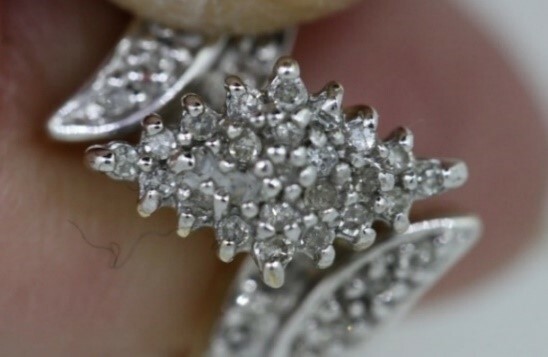 Besides looking dull the unfinished prongs may catch on clothing or your hair. -Prongs that are too thin at the top. 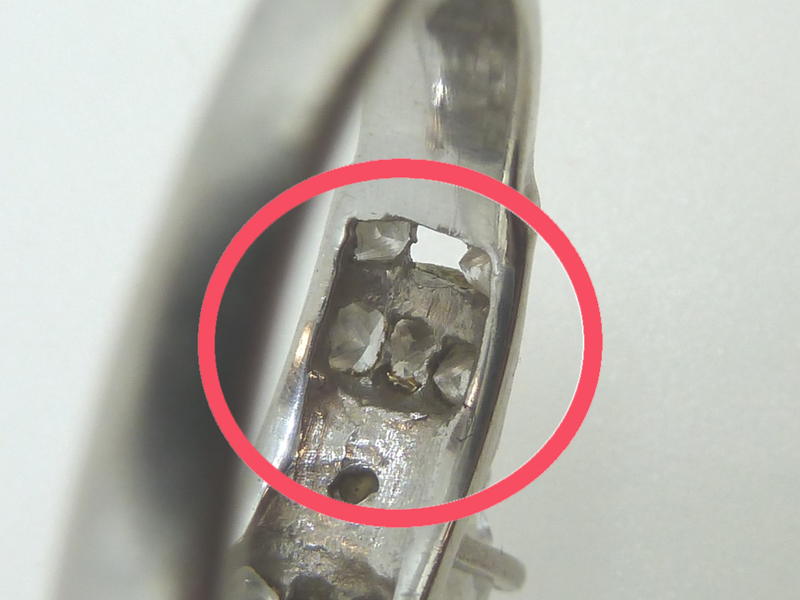 Many jewelers thin out the prongs for aesthetic purposes but prongs that are too thin will break off in a short period of time and increase the possibility of losing a diamond. -Prongs that are too short. Sometimes when a ring has many tiny diamonds the prongs are shortened for aesthetic purposes. Sometimes the small diamonds will fall out because they were not properly covered by the prongs. -Prongs that do not touch the stone that it is supposed to be holding. Some jewelers are afraid to crack the diamond and they choose to leave the diamond “floating”. The risk of losing that diamond is very high. -Wavy channels on a channel set ring. The edges should be straight and clean. -Poor finish and polish in the seat areas and lattice work will reduce the beauty of a ring. To see all of the advantages of having you engagement ring or jewelry item custom designed by The Diamond Specialists click here. Follow this link too see a gallery of pieces that we have made.